We can learn a great deal about migraine and other headache disorders online. We can also do pretty well supporting each other online. There are, however, advantages to meeting in person at times. The American Headache and Migraine Association's (AHMA) fourth annual conference for patients and their families and friends is quickly approaching. The conference is a great opportunity to attend educational sessions with presentations by some of the field's top experts including Dr. Richard Lipton and Dr. Rob Cowan. At the end of each presentation, attendees will have the opportunity to ask the presenters related questions. Dr. Lipton is co-Director of the Montefiore Headache Center, an interdisciplinary subspecialty center focused on headache, patient care, research and education. He is also the Edwin S. Lowe Professor and Vice Chair of Neurology, Professor of Epidemiology and Population Health and Professor of Psychiatry and Behavioral Sciences at the Albert Einstein College of Medicine. Dr. Lipton has published more than 500 original articles. He has been awarded the H.G. Wolff Award for excellence in headache research from the American Headache Society three times and the Enrico Greppi award from the European Headache Federation. Dr. Rob Cowan is Professor of Neurology and Director of the Headache Program at Stanford University. Prior to joining Stanford he was the founding medical director of the Keeler Center for the Study of Headache (Ojai, CA) and senior clinical research scientist in molecular neurobiology at Huntington Medical Research Institutes (Pasadena, CA). He is widely published in various scientific journals, including the Journal of the American Medical Association, Cephalalgia and Headache. He has authored many scientific posters and book chapters. Dr. Cowan lectures both nationally and internationally on a variety of headache topics, and has appeared on NBC, CBS and has been featured in articles ranging from the San Francisco Chronicle to Vogue Magazine. Conferences also afford us opportunities meet and network with fellow migraine and headache patients. In my experience, meeting other patients in this way has resulted in valuable ongoing friendships. This year's AHMA conference will be held on Sunday, June 12, from 8 a.m. to 6 p.m., at the Marriott Grand Marquis, San Diego. A special session for family members, friends, and caregivers - both for information and support. There will also be a session at the end of the day where attendees may bring up topics not covered in the day's sessions. The doctors who have presented the sessions during the day will be available to discuss the topics brought up in this session. The low conference registration fee of $35 per person includes a buffet lunch as well as morning and afternoon breaks with refreshments. Care is being taken to ensure that there are options to allow attendees to avoid migraine trigger foods. There will also be a "quiet room" available for anyone who tires or gets a migraine and needs a dim, quiet place to rest. 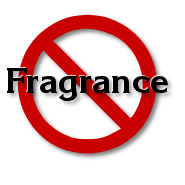 Those of you for whom fragrance is a migraine trigger will be glad to know that AHMA recognizes this as an enormous issue, so this is a _fragrance-free event _. Attendees should refrain from any use of perfume, cologne, aftershave, scented lotions or any other product with fragrance. Anyone wearing fragrance will be escorted outside and given assistance in removing the fragrance. This promises to be an exciting and informative conference. There will be opportunities to learn from leading migraine and headache specialists, meet other patients, and make new friends. I'll be presenting the session on advocacy and would love to meet you there! For more information, please see the conference information page.